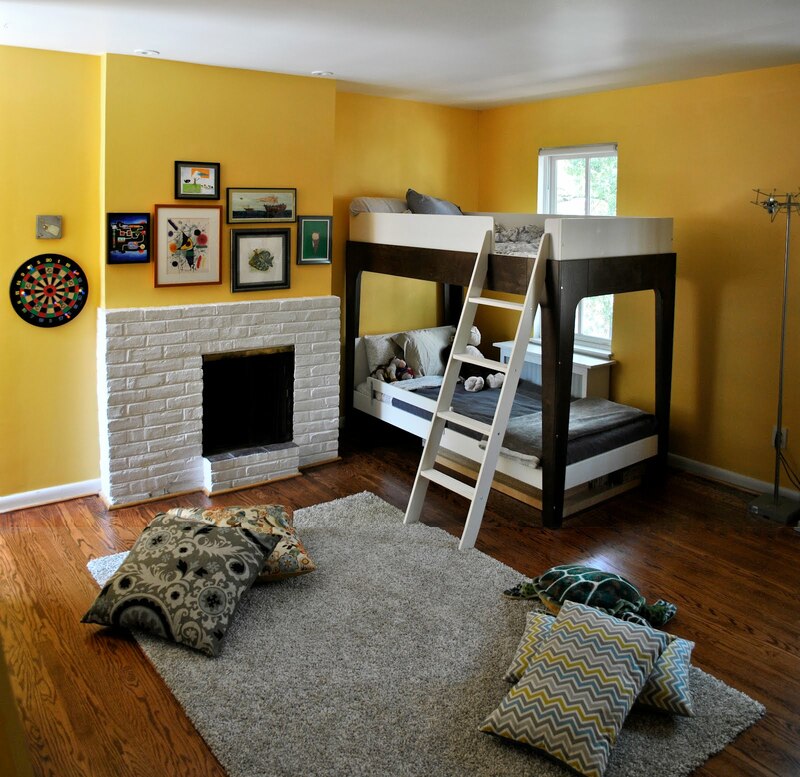 We finally finished the kids' room! Well, ok, obviously most of it had been done for some time, but now with the addition of a shaggy gray rug and some floor pillows, we've got ourselves a put-together ensemble-type decorating situation. 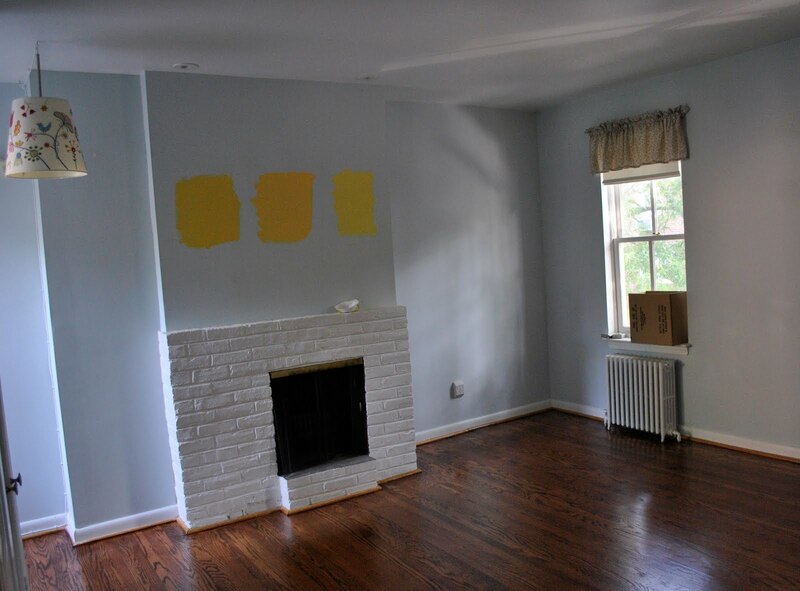 We went with the happy sunshine color that we loved on the the walls of our Manhattan living room way back in the day, and kept it in the gray-white-dark wood family for the rest. Of course, I say this because in this picture you don't see the giant bookcase which is awesome for storage but doesn't really match, and the changing table, which... hopefully won't be there soon. Also, please pardon the fact that this photo is stitched together from two separate ones. I'm not tall enough to take a picture of the whole room... and too lazy to bring and unfold the ladder that is stored three feet away from where this shot was taken.